Every day we meet people who have had almost everything taken from them. Yesterday, for once, we were able to give something extremely precious back to one of them. We met a teenage boy in the Iranian camp who has been unable to see properly for a whole year. 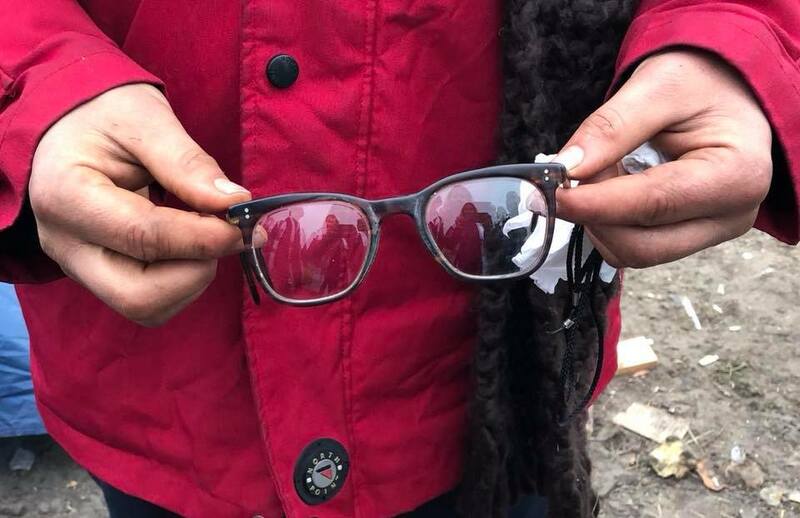 On his journey to Europe, fleeing persecution in Iran, Croatian police stamped on his glasses. He listed for me the countries he has traveled through without seeing one of them clearly. In our warehouse we have a box of donated glasses. In cases like this, people can go through the box and try to find a pair that might help them. The moment he found the correct pair of glasses is almost indescribable. Leaping around, with a huge grin on his face and tears in his eyes, he pulled the glasses down on his nose, then up over his eyes, over and over again. He showed them to everyone and, by some kind of fluke, not only did they match his eye problem but they really suited his face. He looked great! Thank you to everyone who has ever donated glasses, or indeed all who have donated over the past few weeks to make the brutal winter conditions a little more bearable. Please remind everyone you know that things that we take for granted can make such a miraculous difference in Calais to those who need so much.